Cleansing milk is a gentle formula face wash that can cleanse the skin without irritating or stripping it of its natural oils. It's typically made from lightweight ingredients that won't leave a residue behind and can help maintain the skin's moisture balance. What is a cleansing milk? A cleansing milk, or milk cleanser, is a face wash product that can effectively, yet gently, remove dirt, makeup, and impurities from the face. It works well on most skin types, including normal, sensitive, combination, oily, dry, and mature skin. The Juice Beauty Cleansing Milk is gentle enough for all skin types, including aging, dry, and sensitive skin. The organic cleanser deeply cleanses, tones, and removes makeup. The creamy formula soothes and replenishes with beneficial ingredients like organic grapeseed, sesame, and sunflower oils, aloe, neroli, organic juices, camomile, calendula, and linden. It also feeds the skin with vitamins C, B5, and E. It has no parabens, petroleum, SLS, pesticides, phthalates, or artificial dyes or fragrances. It comes from the trusted Juice Beauty brand and is backed by outstanding online reviews. 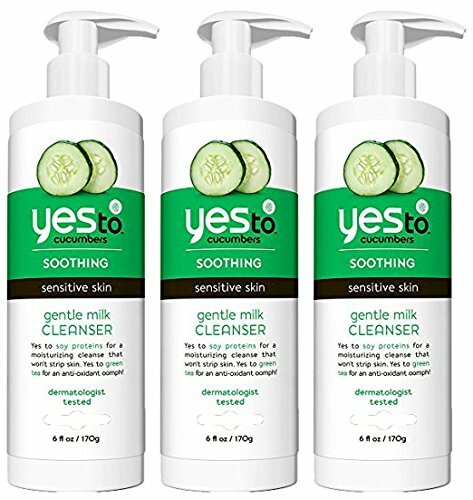 An Amazon's Choice product, the dermatologist-recommended Yes To Cucumbers Gentle Milk Cleanser works well on all skin types, including dry or sensitive skin. The natural cleanser is free of parabens, phthalates, and SLS. The gentle formula has calming ingredients and antioxidants like green tea, aloe vera, and soy proteins to moisturize the skin while cleansing it. The Allure "Best of Beauty" Award Winner is recommended by Consumer Search and backed by outstanding online reviews. If you'd like something with a slightly thicker consistency, consider the highly rated Yes To Coconut Cleansing Balm instead. The Clarins Cleansing Milk is gentle enough for all skin types, including normal or dry skin. The cleansing cream effectively removes makeup and impurities using alpine herbs to help maintain the skin's balance. The cult classic cleanser is recommended by TotalBeauty and backed by outstanding online reviews. An Amazon's Choice product, the Dr. Hauschka Soothing Cleansing Milk works well on all skin types, including dry, sensitive, oily, mature, and blemished skin. The calming cleanser melts into the skin to gently remove makeup, dirt, and oil without irritation. It contains ingredients like anthills, jojoba, and sweet almond oil for additional benefits to the skin. Recommended by Allure, it has a cult following among celebrities like Debra Messing. The Mario Badescu Cleansing Milk with carnation rice oil is enriched with vitamins and antioxidants to smooth and soften the skin. The gentle, creamy, wipe-off cleanser works on all skin types, including dry and sensitive skin. It removes makeup and debris, fights free radicals, and slows skin degradation. The cult classic has outstanding online reviews and is frequently recommended by beauty bloggers. 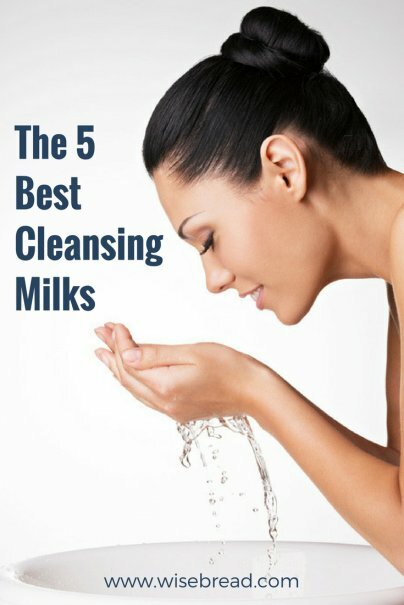 And those are our recommendations for the best cleansing milks. As always, be sure to check Wise Bread's Buying Calendar to learn when and how to buy just about anything!